For the marriage of Alfred, Duke of Edinburgh and Princess Alexandra of Russia on 23 January 1874. 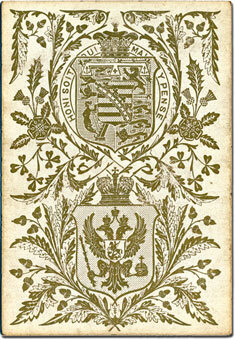 The backs show the Royal Arms of England, with those of Saxe-Coburg-Gotha on a shield of pretence. Below is the double-headed eagle of Prussia, with George and Dragon on a shield of pretence. The whole is surrounded with an ornamental design composed of oak leaves, acorns, thistles, shamrocks and roses. 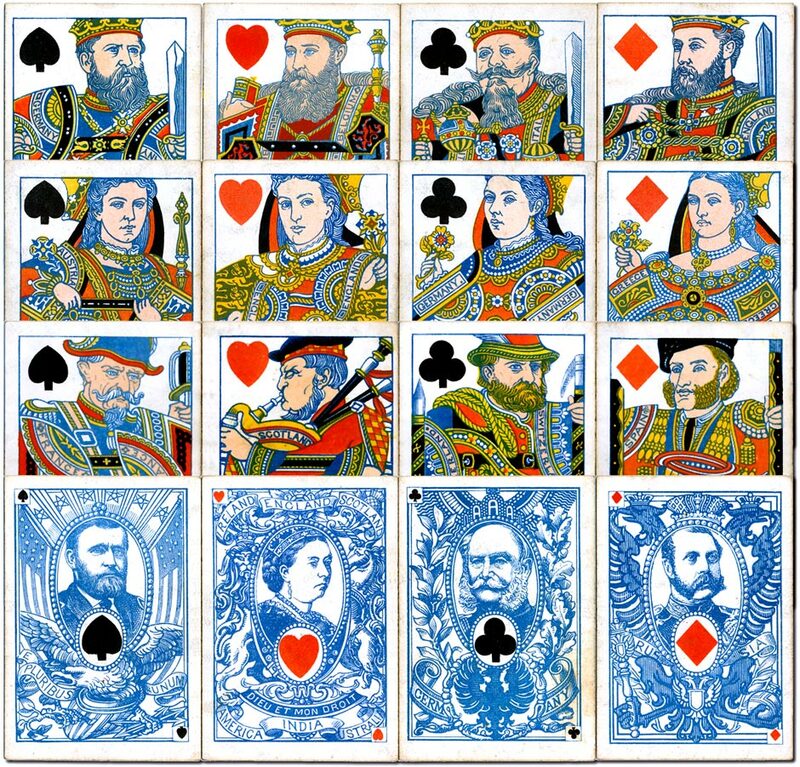 Above: “International Playing Cards” for the marriage of Alfred, Duke of Edinburgh and Princess Alexandra of Russia on 23 January 1874, printed by De la Rue & Co., London. The court cards are double-ended with no indices, the Aces are single-ended with small corner suit symbols. From the collection of Barney Townshend. EPCS Newsletter October 2000 p76. Reprinted from an article in The Times of Thursday 3rd December 1874.